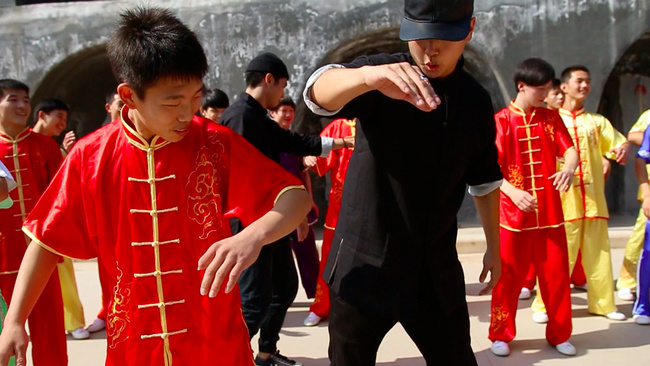 What happens when a crew of LA based dancers heads out to the Shaolin Temple and meets up with a team of wushu monks? A kungfu cypher, that’s what. An exchange between modern dance martial arts in Zhengzhou, if only for a few days. 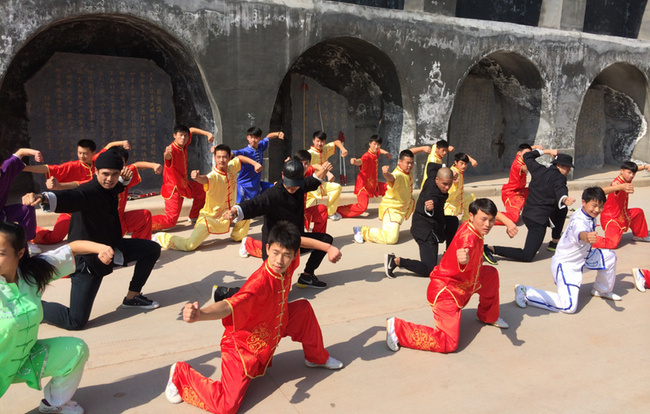 The exchanges took place in the dilapidated dorms of the students, out on the concrete training grounds, in courtyards and halls of the temple, and the attached Tagou Wushu Academy, one of the largest wushu academies in the world. The LA dancers met culture shock with movement, and found that, despite the language barrier and the vastly different culture and training environments, movement turns out to be more than sufficient for communication. For a lot of martial artists today, wushu is just that, a performance to “wow” people with. A shadow of what kungfu should be; dance and nothing more. But is the gap between dance and martial arts so large? If we listen to the dominant theme in martial arts today, that if it’s not effective it’s not martial arts and must be purged or transformed, then wushu is a dance, and dance doesn’t belong in the martial arts. Yet, dance, in all of it’s forms, is at the core of martial arts in many ways. Karate kata, preparing for a fight with Muay Thai music, capoeira beats, even hitting the speed bag ... all of the actual combat techniques practiced over and over, using movements learned by rote, synchronized, and performed as a group, make a martial artist able to act without thinking, and “remember their training,” in a way. Wushu performances can blow your mind. The flips and acrobatics in tandem are one thing, but then watching kids skewer imaginary enemies with the long spear, or slice up a horde of bandits with twin long blades is something altogether different. It’s a show, and the performers have been drilling this for hours and hours, so a full-fledged Shaolin performance can be hypnotizing. And that’s without even mentioning breaking stuff with your head, stopping a spear with your trachea, and throwing needles through panes of glass. Behind these performances lie hours and hours of dedication and training. One thing that always shocks visitors to the temple is the reality of training for the more than thirty thousand students at the Tagou Academy (the largest of a dozen such academies in the area). Hundreds of students rise at dawn and march out to the training grounds, all in their red jackets, and begin their morning exercises. Training continues throughout the day, with little gaps for food and an afternoon rest. Late night sessions are normal—sometimes just a lecture from a coach, but often forms by floodlight. For LA dancers accustomed to free flowing sessions and working off of the vibe, the discipline and rigor of the students was surreal, and impressive. The goal wasn’t to go as a tourist however, but to share with the students and performers at Shaolin, and create a dedication both in dance and in video, an artistic representation of what LA-based dancers would take away from a weekend in rural China with the legendary Shaolin monks. The free-flowing LA vibe came out during the cyphers that took place organically after the set performances each crew put on for the other. When the performer-audience dynamic dissolved, it was replaced with one on one communication. Both groups played charades with each other, using movement to speak, or just basic body language, and this exchange and the inspiration that came out of it was the basis for the trip to begin with, and the prime motivation for making a video of homage to the heart of traditional Chinese martial arts. Chinese martial arts, and specifically wushu forms, seems to be seeping into the dance culture in the US. A lot of the same basic tenets are in both art forms, and a lot of the same basic skills are needed. The mutual inspiration happening between wushu and dance, both with the Kinjaz crew and others, demonstrates the depth of martial arts—the art within the martial so to say—and is an interesting addition to the narrative of martial arts as pure combat. In fact, the best performances within the ring are often a dance between two artists.